I was over at The Lokal the other day and when I was washing my hands after a meal, I chanced upon a bottle with a pretty great scent. At first I thought it must be that other brand (you know, the one that starts with A) that now has stores all over Singapore, but on closer inspection, it was actually by Ashley & Co.
Hailing from New Zealand and a relatively new entrant to Singapore, Ashley & Co started out more than 10 years ago with liquid soaps under its WashUp collection. Now with 6 signature scents such as Blossom & Gilt and Bubbles & Polkadots, there’s definitely no lack of creativity when it comes to the names, and each bottle is also clearly labelled with its key ingredients, which may include anything and everything from grapefruit seed or vetiver to gardenia blooms and even fig leaves. 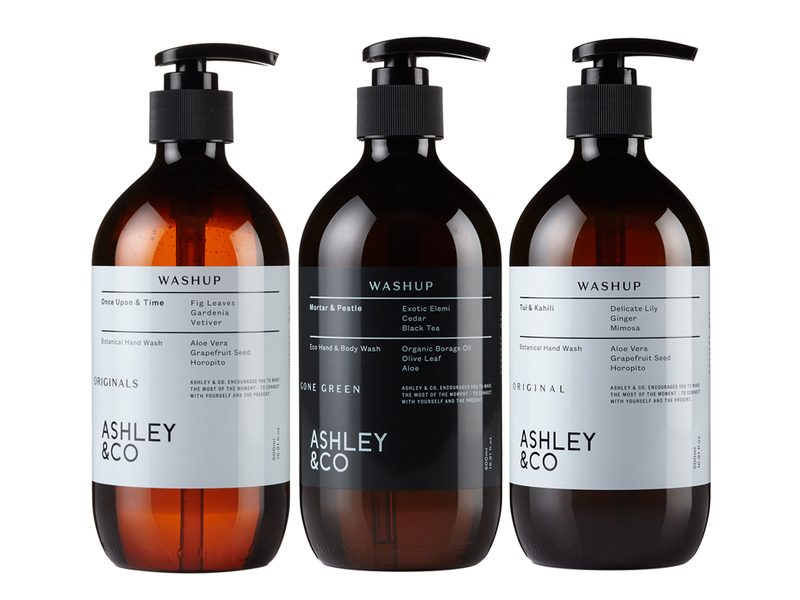 And beyond its WashUp collection which starts from SGD45 and up for a 500ml bottle (that is a pretty good deal, right? 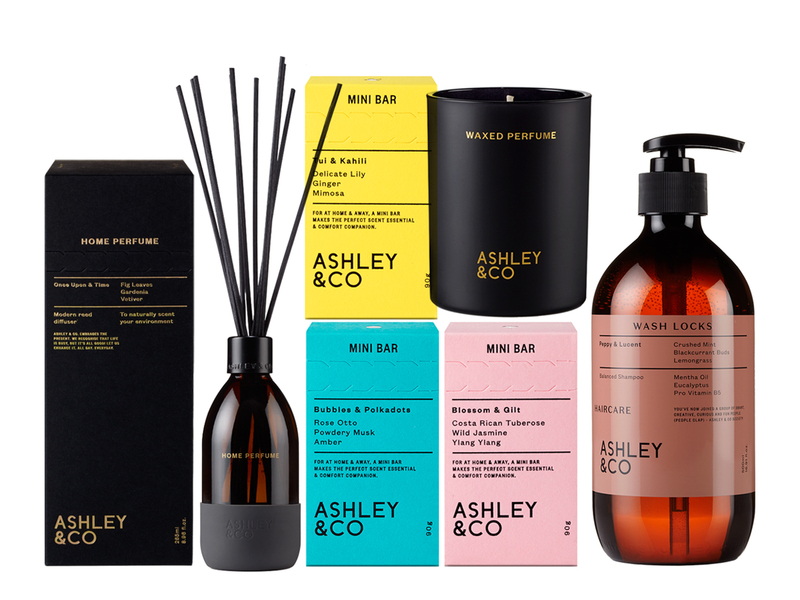 ), Ashley & Co also has hair care lines, soaps, hand (and body) creams, even items you can get for the home like candles and diffusers. Also, if you’re one to support brands that are into recycling, trying to be sustainable and are big on giving back to society, well, this label is for you. Available at a number of locations as the amenity-of-choice in cafes and restaurants, even when you stay at The Warehouse Hotel where I remembering enjoying their hair and body washes, you’ll be pleased to know that they are available for sale at Kapok and Gallery & Co. If you’re really busy, you can just do it online and shop via Ashley & Co where shipping is free for orders above SGD50. Why not indeed. i love Ashley & Co too! What a beautiful looking range! The colours and simplicity of the branding look so nice.